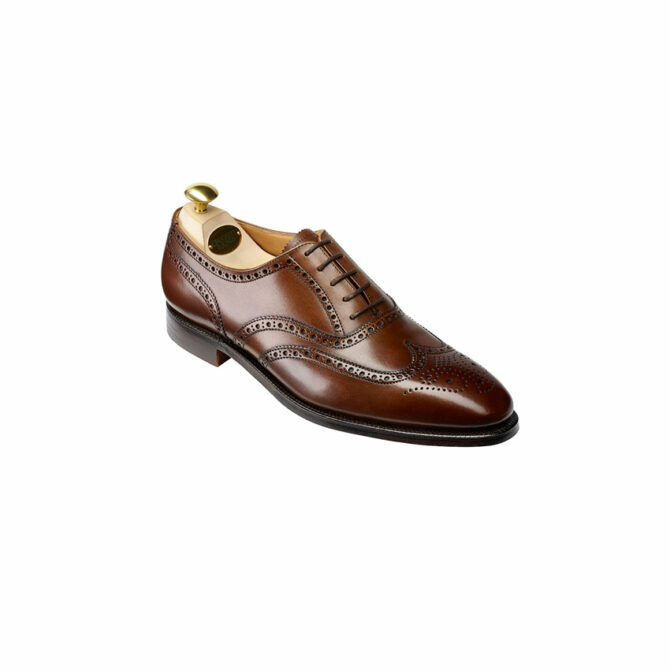 The Crockett and Jones Finsbury Chestnut Brogue is a burnished calf brogue. Fully leather lined. Leather sole and insole. Leather heel with quarter rubber tip, goodyear welted. Finsbury, a classic full brogue oxford with wing tip design and punched medallion on the toe. 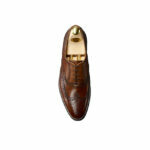 Made from the finest calf leather and single leather soles from the Crockett and Jones Men's Main Collection. 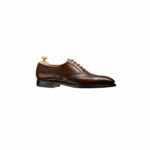 Made from the finest calf leather and single leather soles from the Crockett and Jones Men’s Main Collection.